I love Montana. I haven’t been able to spend much more than a long weekend here lately, so it’s so nice to have more time to visit with family and friends, and take a few hikes into the mountains. 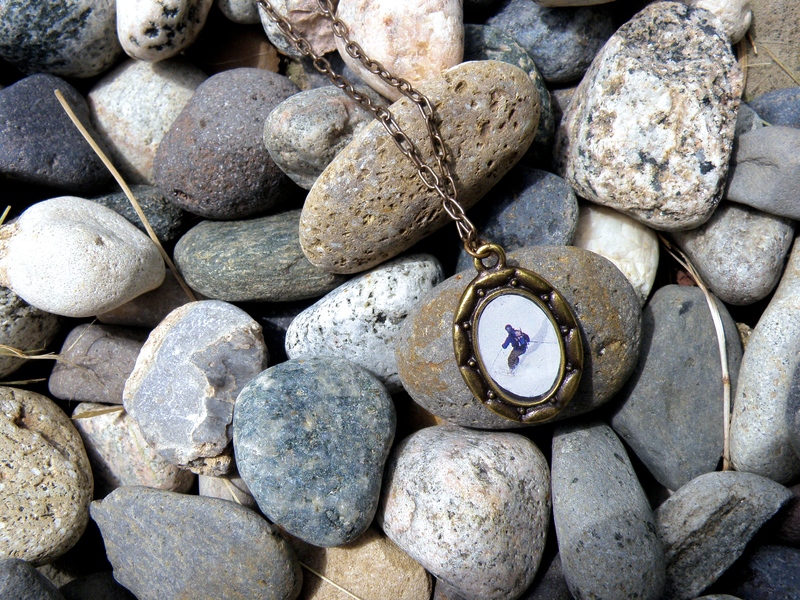 To commemorate my first week back, I’ve been posting pendants I’ve made with photos from a few Montana-based photographers. 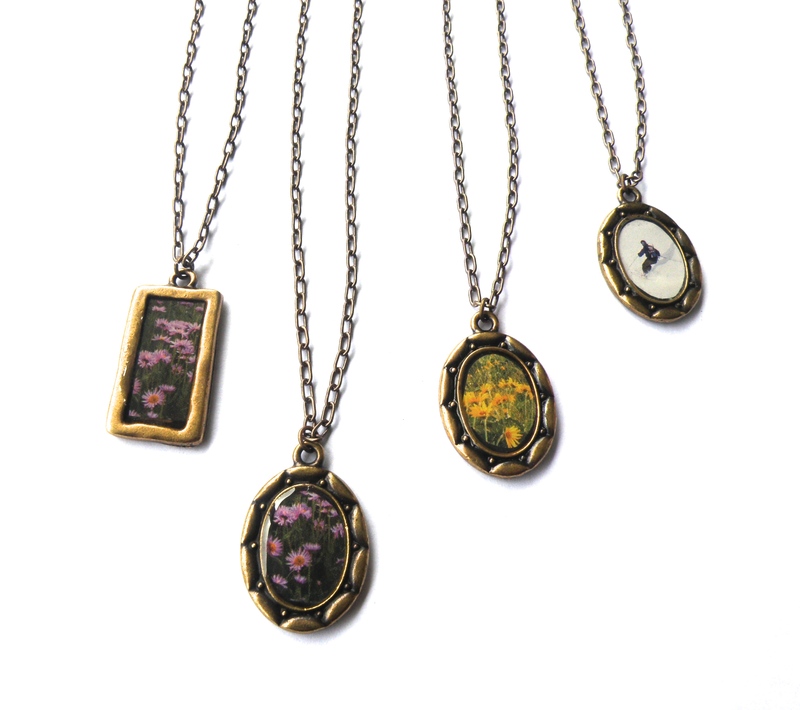 I came across their work in one of my favorite magazines, Outside Bozeman, and I am so excited to have the opportunity to incorporate their art into these necklaces. It’s been a fun process to reach out to these photographers, and learn a little more about the subjects in their photos. I learned about new plants and places, and came across some beautiful photography on their websites. 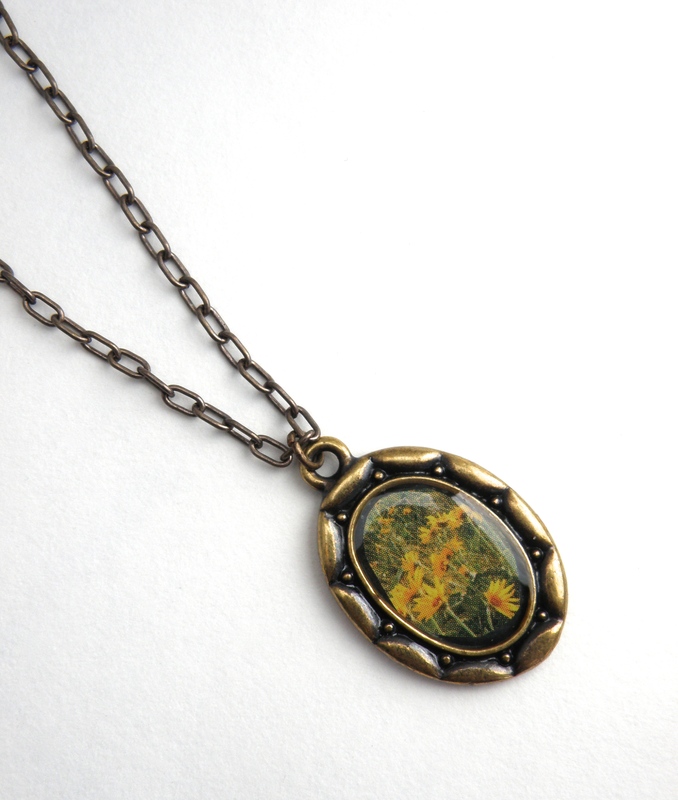 This first pendant contains a photo by Nelson Kenter. The flowers in the image are balsam root flowers he photographed near the Rocky Mountains in Montana. I’ve seen these on local hikes before, but had never known the name of them. Their bright, yellow petals are so cheerful! To see more of Nelson’s photography, click here. He has some beautiful landscapes and cool shots of wildlife to share! 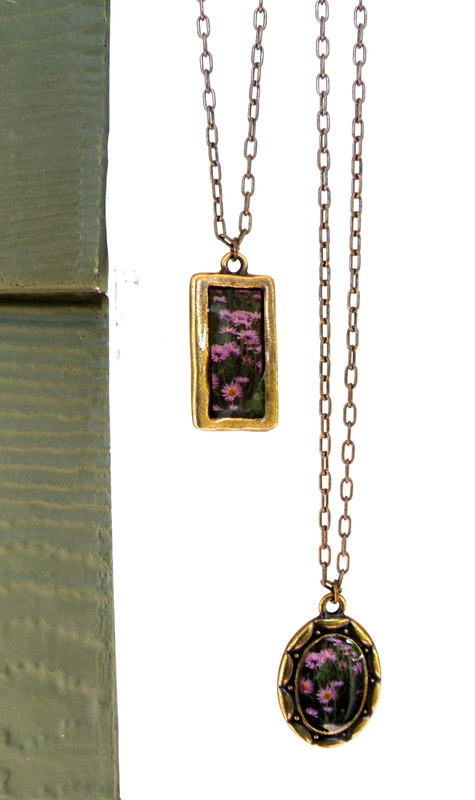 I used a photo by Zack Clothier for these two pendants. I absolutely love his image of these flowers; who knew flowers could be so purple? In case you’re wondering, they’re called mountain asters, and this image was captured near Jewel Lake in Montana. To see more of Zack’s photography, click here. The colors in some of his photos are so unreal! 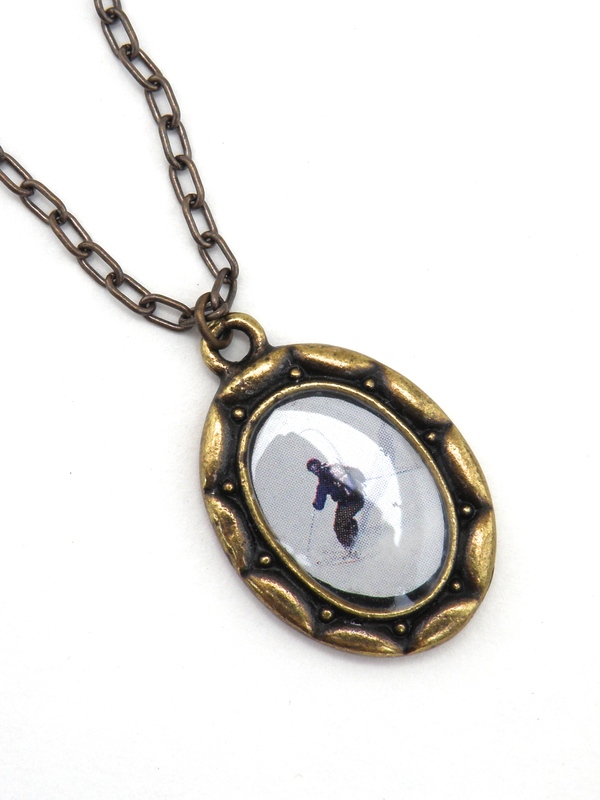 This last pendant features a photo taken by Simon Peterson of a downhill skier. While you can’t tell from the pendant, he’s skiing down the Madison Slide, the location of a landslide in 1959 that occurred after a massive earthquake (about 7.5 on the Richter scale). The 80 million ton landslide dammed a nearby river, forming Quake Lake in southwestern Montana. 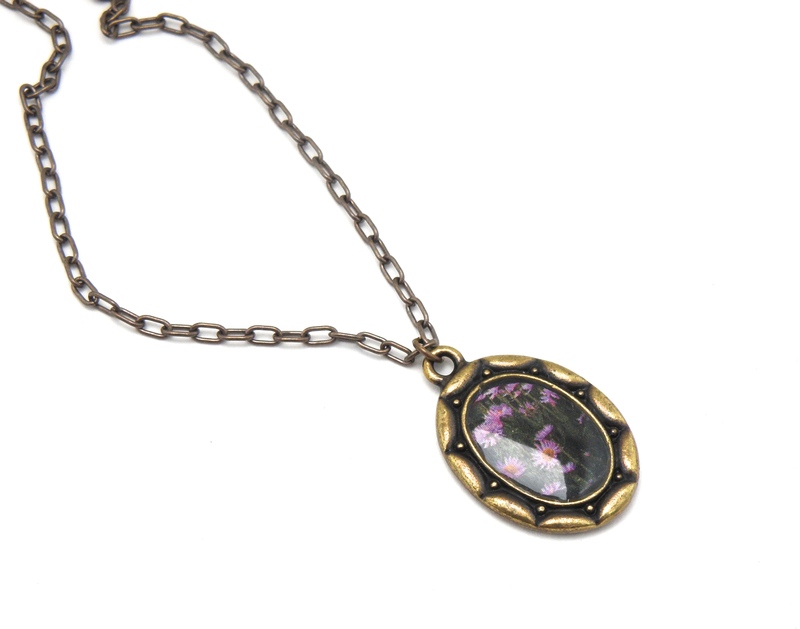 I really like how this pendant turned out– it’s a neat idea to me, to have an action-packed moment in time, captured in a piece of jewelry. Simon has many more fantastic shots, and his gallery is chock full of adrenaline-inducing moments involving skis and bikes, alongside really gorgeous, quiet landscapes. Click here to see more. Thanks so much for stopping by the blog. 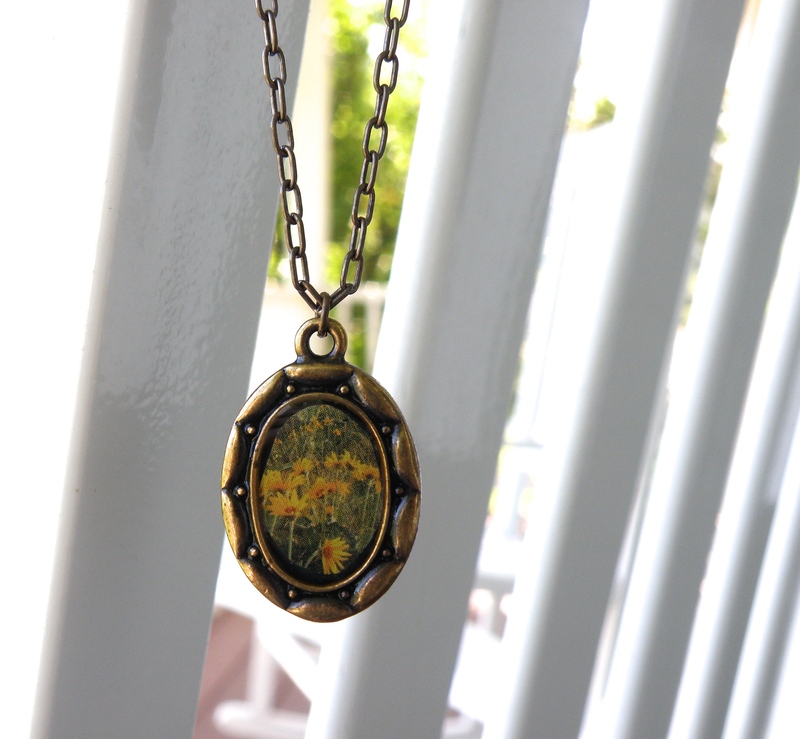 I had fun making these necklaces, and learning some new things in the process. Have a wonderful day!